of technological innovation and Industry 4.0? Telco is the ideal, reliable partner for designing and developing the most suitable solutions for digitization of production environments. Starting from its experience in industrial automation, Telco has consolidated skills in the IT business world for manufacturing, skills that today allow the company to provide integrated applications specific to the digital factory. Efficiency and connectivity are the new sources of value creation, and with this in mind Telco innovates and constantly develops solutions dedicated to digital transformation for various industrial sectors, focusing in particular on issues of Cyber Security. Telco is able to collect process and production data from sensors, from machines and from structured (and other) databases designed and developed in-house or by third parties, performing pre-processing calculations and data aggregation. 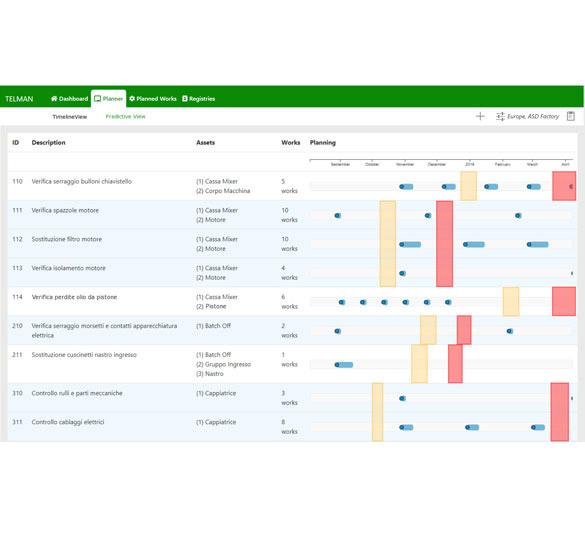 In addition to this, the company also develops web applications for analysing and displaying the volume and variety of data collected, enabling the user to extract useful information (smart data) such as OEE analysis, production quality and management summary dashboards. Telco develops tailor-made web applications for monitoring and optimizing the company’s production logistics flows. According to Industry 4.0 principles, the tools perform specific functions of the MES system, and are able to exchange information with ERP, SCADA systems and third-party applications. 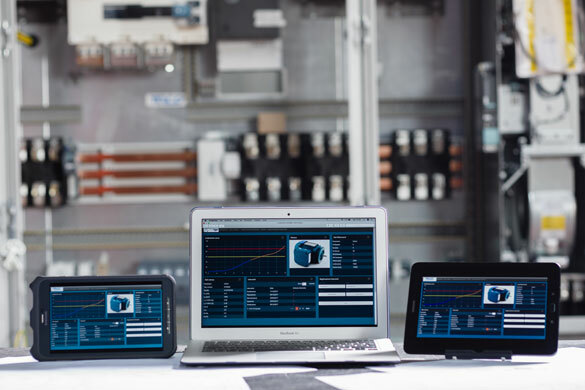 Examples of development consist of software platforms for maintenance management and planning, processing recipes and laboratory quality analysis, which are compatible with the latest portable devices in order to facilitate and optimize operations. A representative sector of data analysis is the maintenance, in particular predictive maintenance, which concerns the replacement of components based on their actual wear and tear. Telco offers hardware and software solutions to monitor vibrations in production machinery, providing maintenance managers with web tools that detect system parts with vibrations that are abnormal compared to normal operating standards. In addition to the well-established IoT sensors and Cloud Computing, Telco, building on previous experience with solutions based on barcodes and RFID devices (Radio-Frequency IDentification), is today able to position itself as a Solution Provider for the supply of RTLS (Real Time Location Systems). 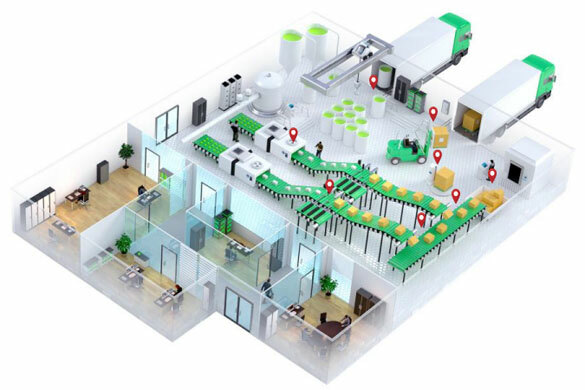 These new technologies allow localizing goods and materials inside the production plant in real time, exchange information with lines and work stations and optimize internal logistics (routes and flows). For years Telco has been offering, alongside traditional HMI (human machine interface) systems, mobile smart devices (tablets and smartphones) to visualize the operation of plants in real time, create virtual control panels and develop web applications to support maintenance activities. 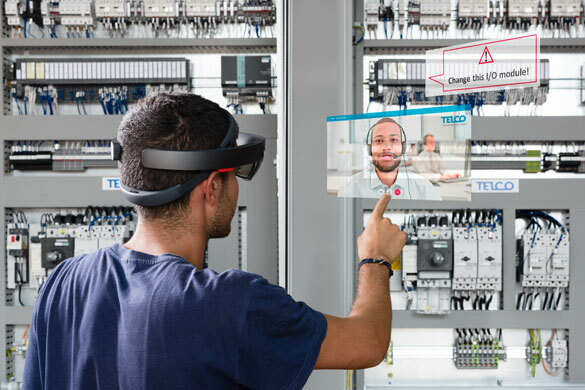 In light of this experience, the company has now expanded its offer to include advanced augmented reality systems, using both tablets and mixed reality wearable devices.